Triple Crown Volleyball NIT's 435 Teams To Take Over Salt Lake City. FORT COLLINS, CO (February 15, 2018) – The sixth edition of the Triple Crown Volleyball NIT takes over nearly every square inch of the Salt Palace Convention Center, with match action running from Feb. 17-19 as more than 435 teams descend on Salt Lake City from around the nation. Built through conversation, debate and planning with the leading voices in club and college volleyball, the TC NIT features age groups from 14 Open to 18 Open and has become one of the most intriguing events on the calendar. The unique format pits highly ranked teams against each other on Day 1, with an emphasis on a geographical mix that fans won’t see again until the USA and JVA championships later in the year. On the day before the tournament, Feb. 16, Triple Crown will hold a variety of College Camps, with top-flight NCAA programs around the country bringing staff in to work with athletes aspiring to improve. More than 350 youth will take part; there’s also an Unsigned Player Workout and recruiting seminars for parents presented by experts in the club/college recruiting journey. Fans will be able to enjoy action on 60 courts; multiple vendors will be on hand, along with tournament merchandise, concessions and a “Hospitality Zone” to get away from the whistles, featuring WiFi, charging stations, TVs, tables, chairs and activities for kids and adults. Three championship matches (14 Elite, 16 Elite, 18 Elite) will be broadcast on ESPN3 on Monday, Feb. 19 beginning at 10 a.m. MT. The TC NIT has also arranged to have a free livestream on 40 courts, on all three days of match play. Based in Fort Collins, CO., Triple Crown Sports has been producing events in youth athletics and the college ranks for more than 35 years. 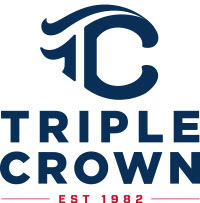 Triple Crown has established a national footprint with destination-friendly tournaments in baseball, fastpitch, lacrosse, volleyball and basketball. TCS fastpitch tournaments(including the 1,000 – team Sparkler/Fireworks event) draw the nation’s finest club programs, and hundreds of college coaches attend TCS events for recruiting purposes.